In 2004 Rolling Stone Magazine ranked Buddy Holly #13 on their list of 100 greatest artist of all time and in 1971 Don McLean wrote “American Pie” The Day The Music Died. 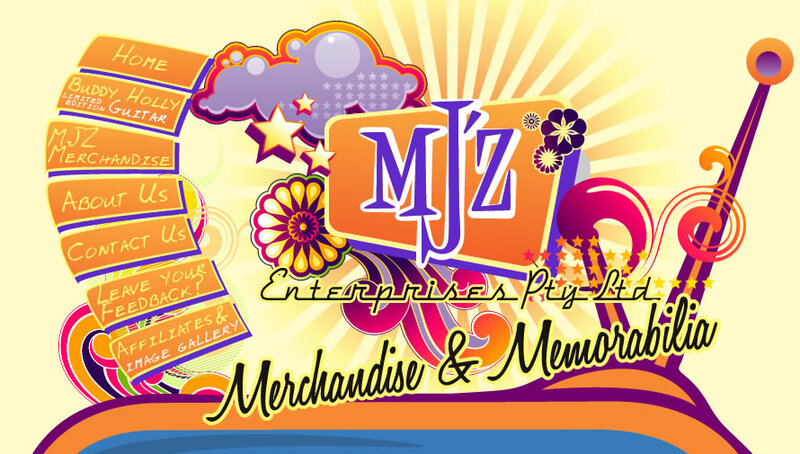 If you would like to go on a payment plan, please give us a call on 1800 30 38 48! WHICH IS GOING TO THE DANIEL MORCOMBE FOUNDATION!!! 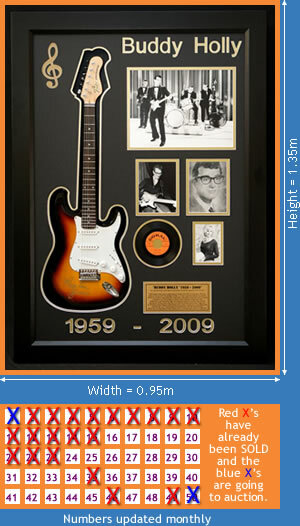 This beautifully Framed piece Includes: A Replica Style/Type Fender Guitar signed by “Peggy Sue” herself, a large picture of Buddy Holly & The Crickets, 2 beautiful pictures of Buddy, a picture of Peggy Sue and a rare 1957 Coral Single “Peggy Sue” Numbered and hologramed with a Certificate of Authenticity. “PEGGY SUE” This is a Strictly limited offer. May his music live in us and our hearts forever!